Welcome to the land of now-legal marijuana, for on this Wednesday, Canada, in her continuing cultural descent under Trudeau, becomes the second sovereign nation to legalize the green weed (Uruguay recently beat us to the punch). I have an article in Crisis this morning on the moral difference between alcoholic beverages, permitted in our Catholic faith, and recreational drugs, which are intrinsically immoral. Please do peruse, and comments are always welcome. 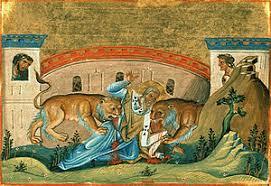 While the CBC celebrates this dawn of Aquarius, calling it ‘sort of like New Year’s’ in its morning program, we in the Catholic Church celebrate Saint Ignatius of Antioch (+107) who went to his martyrdom in the Coliseum just after the death of Saint John the Evangelist and last Apostle. His seven letters, to seven communities of early Christians, are some of the most clear and direct evidence of the Catholic Church’s structure right after the time of Christ, with bishops, priests, dioceses, and irrefutable belief in the Real Presence. No wonder Blessed Cardinal Newman, in his own vain attempt to find ‘Anglicanism’, a ‘via media’, somewhere in the early past, quipped that to ‘delve into history is to cease to be a Protestant’. There never was a simple sort of ‘Baptist-Evangelical’ church, or, rather, community, with just the Bible and a ‘pastor’. From the very beginning, there was the One, Holy, Catholic and Apostolic Church, centred in Rome under Saint Peter, with all the sacraments and all the Liturgy and all the means of holiness and truth, even if obscured at times. And while on Peter, I don’t often comment on the Holy Father, for various reasons, preferring to wait and see how things unfold, but the media has latched onto his sermon this morning, as the Pope commented on Christ’s condemnation of the Pharisees as hypocrites, empty tombs inside, whom the Holy Father compares to ‘rigid’ Christians, who see themselves as ‘perfect’, lacking a ‘spirit of liberty’, and he also puts down those ‘paid to give bad news’. My initial reaction, as any number of times in this pontificate, is that I wish he would define his terms. After all, the spiritual life, like any warfare, requires some rigidity, at least on central principles, along with some flexibility, so that we might adapt. One must make the proper distinctions, to know on what one may compromise, and what one may not (as in intrinsic evil, which, as John Paul II taught, following Saint Ignatius and any number of martyrs come to think of it, we must be prepared to die rather than commit). There is also a proper sense of liberty, using our freedom well in the light of truth (the whole point of John Paul’s Veritatis Splendor, which I am not sure Pope Francis has ever quoted), and a very improper sense, of freedom, as in libertinism, and justifying one’s sins and sinful ‘lifestyle’ before God, which is the very thing for which Christ condemned the Pharisees. Ponder today’s first reading from Saint Paul to the Galatians for his take on this them; or Robert Cardinal Sarah’s intervention at the Synod. We need more such clarity, not vagueness. That is why we have fences, as Chesterton quips, and why, as John Paul II states, the moral law must have a ‘thus far, and no farther’ level of at least minimal objectivity. For it is the clear truth that unites, and uncertainty which divides.